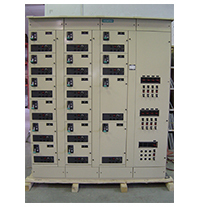 ECM is a Quality Manufacturer of Electrical Control Panels, MCC’S,VFD’S, Soft STarters, Starters, MCC Retrofits,Distribution panels, Skids, Capacitor load banks and various other Control and Power Systems. Locally based in Edmonton, we serve customers across Canada and around the world and our services include commissioning, inspection rating, installation and emergency diagnostics. With IS0 9001 Registered Quality program, State of art Production Facility, ERP System and latest Version of Autocad Design tool gives us the ability to deliver Quality, Cost Effective and On Time deliveries. Customer Satisfaction Guaranteed.